Paul Wallace is a former Irish Rugby player, widely acknowledged as world class by commentators, fans and his fellow players alike. Paul has a unique profile, not just in Ireland, but in the UK and across the international rugby scene – having been ranked top player in the world in his position, he is now a well-respected commentator across National and International Television, Radio and print. 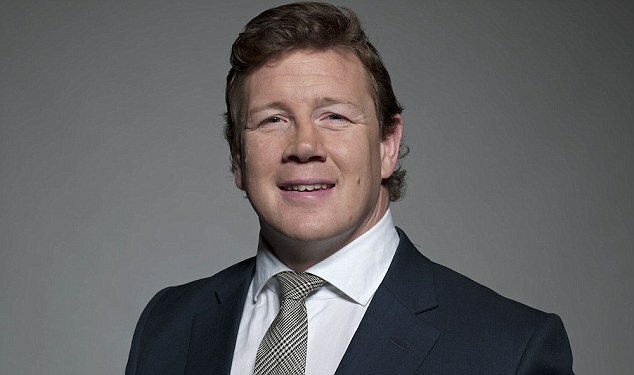 Throughout the Summer, Paul was seen by millions of viewers in the UK and Ireland commentating on the Lions tour of South Africa with the sole European broadcaster Sky Sports – Paul has also worked with ITV and TV3 during last year’s World cup and is a regular member of the Sky Sports studio. Paul also writes for the Daily/Sunday Mail and Rugby World Magazine as well as being a contributor to Today FM’s drive time show, ‘The Last Word’. During his rugby playing career, Paul played with UCC, Munster, Blackrock, Saracens, Leinster, Ireland and the British and Irish Lions. Before retiring due to serious injury in 2003, Paul won 46 caps for Ireland and also played the full duration of all 3 tests in South Africa with the victorious 1997 British and Irish Lions. The 1997 Tour is seen as the definitive tour of the professional rugby era – the series was a unique victory against the odds, which was captured so well in the stand out ‘Living with the Lions’ documentary. Paul was a very influential player in the winning of this series and was described by the captain, Martin Johnson, as ‘my player of the series’. In addition, Paul is a member of an exceptional Irish sporting family – all 3 Wallace brothers have made the Guinness Book of Records as the only 3 members of one family to play for the Lions – a unique achievement in international sport’. In addition to his media and speaking commitments, Paul is Director of Bircroft Property Finance (Ireland), an International debt structuring firm for commercial property. He formerly worked for an International property company, Jones Lang La Salle, dealing in international property sales and acquisitions. Paul is an excellent speaker, articulate, modest about his achievements, but full of good humour and stories. His strength of character and integrity as a player has followed through into this next phase of his career. Paul’s younger brother David currently plays for Munster, is a member of the Irish Squad and toured with the Lions in South Africa Earlier this year. His older brother Richard, the former Ireland winger, retired from International rugby in 1999 after earning 29 caps for Ireland and touring New Zealand with the 1993 Lions.